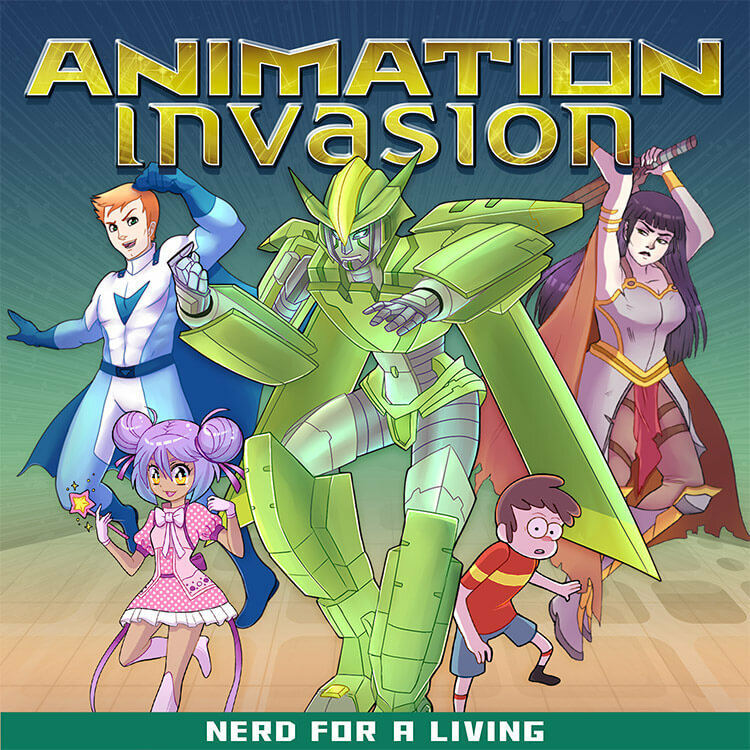 As we launch the new Animation Invasion podcast, we’re revisiting a couple of our favorite cartoon-related interviews from the Nerd For A Living archive. In this episode, we talk with voice actress Linda Ballantyne. Linda is a Canadian voice over artist who has been working professionally in animation since the late 90s. She’s best known to cartoon/anime fans as the voice of Sailor Moon, from the latter half of that series run in 2000. You can also hear her work in Avengers: United They Stand, Mia and Me, Toot & Puddle, Yin! Yang! Yo!, and The Care Bears. Linda currently balances a full slate of voice work in the busy Toronto media scene with convention appearances alongside several of her former Sailor Moon cast-mates. 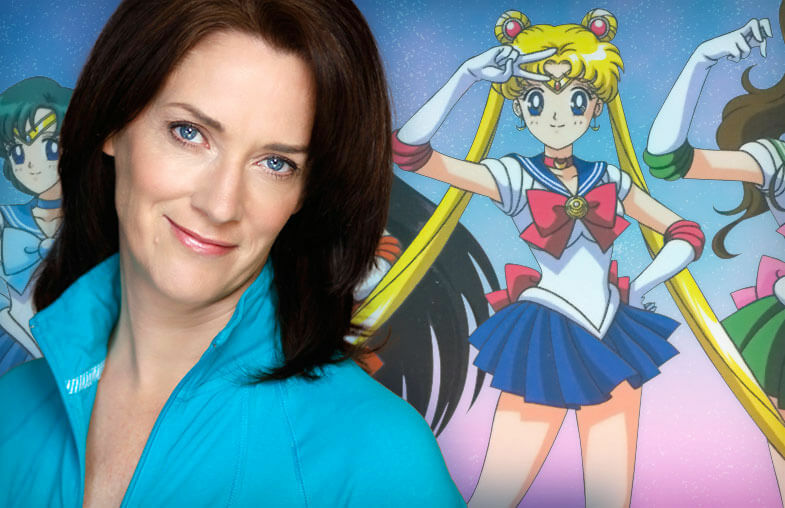 We talk about how she was hired to replace the original english language actress on Sailor Moon, and how she evolved the character’s delivery to make it her own. She explains the challenges of providing voices for pre-existing animation, and why acting in translated works is far less lucrative for voice actors than original programming. And we discuss the experience of meeting fans who have important emotional connections to Sailor Moon and her work. Linda is funny, silly, and just an absolute blast to talk with. This interview will be especially valuable to anyone interested in voice acting, but her stories from behind the mic are sure to entertain anyone. Linda’s extensive animation career includes a wide variety of characters in many popular series, including: Toot and Puddle, Disney’s Yin Yang Yo, Gerald McBoing Boing 6Teen, The Cat In The Hat (Knows A Lot About That), Bob and Margaret, Care Bears, and Sailor Moon. Yes, Linda is a REAL celebrity – if you’re a preschooler. Linda was “the voice of” the Comedy Network for 13 years and has written for CBC’s Definitely Not The Opera. She is currently developing the animated series Simply Wicked. As the happily married mother of 3 perfect children, Linda is the cook, baker, social convener, referee, nurse, and chauffeur. Add to that her hair-trigger temper and you’ve got June Cleaver meets Freddy Krueger. She’s attractive, funny, clever, and overall perfect in every way, shape and form (and she writes her own bios).